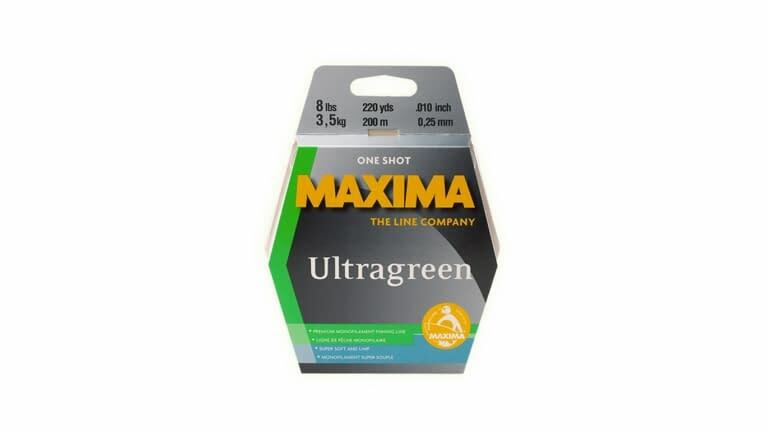 Maxima Ultragreen premium monofilament is precision manufactured in Germany to ensure the line maintains consistent diameter, yard after yard and spool after spool. Maxima Ultragreen is virtually invisible to fish because of it's ability to match the color of the surrounding water. Light is absorbed by the line rather than reflected, which means you'll get more hookups. Maxima Ultragreen's finish provides excellent abrasion resistance and extreme knot strength. Expect superior preformance and consistently high quality from Max Ultragreen.